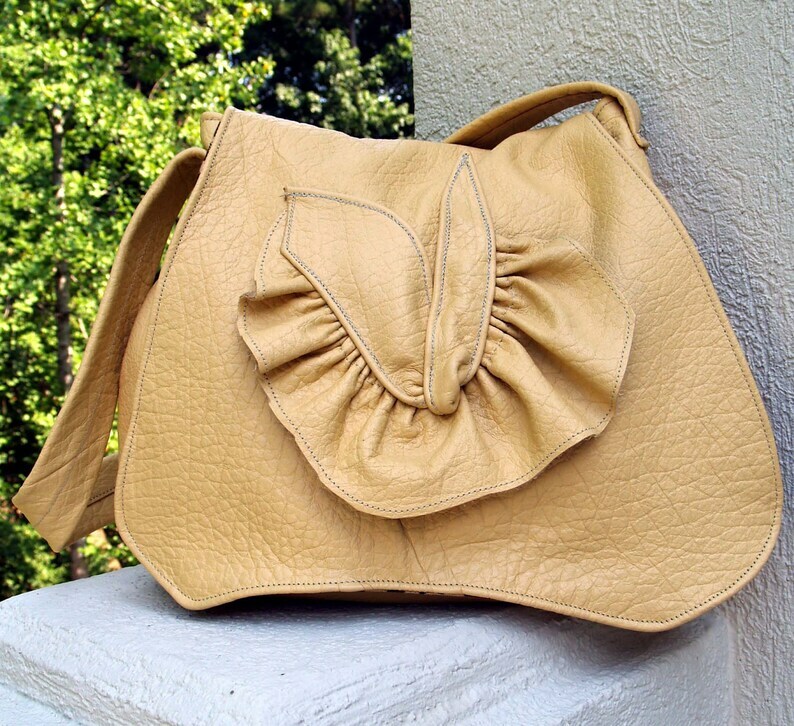 Beautiful leather with large pebbled pattern, in a soft yellow shade, combine to make a fabulous custom hobo handbag. This handbag is accented with a leather ruffle on the flap. It's perfect for all occasions, beautifully lined and has two inside pockets and a metal magnetic closure. Dimensions are: length - bottom16", top 11", height 13-1/2", strap drop 14". Divinely inspired.